Your friends at the UMA Faculty Development Center would like to share a quick tip with you that might make life just a tiny bit smoother. Try this! Subscribe here to get these Weekly QuickTips delivered to your inbox. Do you have a QuickTip to share? Send it to uma-fdc@maine.edu so we can share it with other faculty. Subtitles: This is the written text version of the spoken dialog in a video with the intention of translating into different languages. Captions: This is also the written text version of the spoken dialog (and descriptions of other audio) in a video for the purpose of providing access to audio for people who are Deaf or Hard of Hearing. Transcripts: This is the written text version of only the spoken dialog in a video in a separate file, sometimes time-stamped. When you use videos in your classes, you must ensure that all students have an equivalent experience. Many video platforms, such as YouTube and Kaltura, offer automatic machine captioning using voice recognition software to automatically add captions to your videos. However, these are not always accurate, especially with proper names and subject-matter jargon or with poor sound quality in the video. Therefore, you will need to check the accuracy of captions when you add them to your course and edit if necessary or request professional captions from the Student Support office. Tip: Play your videos with the sound off and the captions on to see what the experience would be like for a Deaf or Hard of Hearing student. Many of your students watch videos with captions because they have the sound off or because they are in a noisy environment and want to catch what is being said. Follow these instructions for editing captions or watch this short video to see how. Visit our training page on the Faculty Portal and follow the instructions to add this training to your course in Blackboard! Capture video anywhere you are with your mobile device and upload it right to My Media in just a few taps of your screen. Follow the steps below. It looks like a lot of steps, but that's just so we could show you exactly what your screen looks like. You can see what your iPhone screen will look like on the left, or your Android screen on the right. Download Kaltura MediaSpace Go for your iPhone or Androiddevice. Log in to your account using the url: https://video.maine.edu. Click the Upload button at the bottom of the KMS Go home screen. You can choose to Upload existing media from the device's Photos gallery, or record video using your device's camera. Choose a video or record your video. The video is displayed in a new screen with the trim tool. Tap Done or Next to continue with the upload process and enter a Title for your video. Tap "Done" or Enter on the keyboard to dismiss the screen. The Upload information page is displayed. Tap "Upload" to continue with the upload process. The upload progress bar is displayed. A message is displayed when the upload is complete. Your video is now available in My Media in Blackboard! Our society has become much more visual, and so has our teaching. We often present text or images on the overhead or on a screen, and add video and images to our online resources. But can your students really see what you are presenting? Here are a couple of things to keep in mind to improve visibility of your course materials. 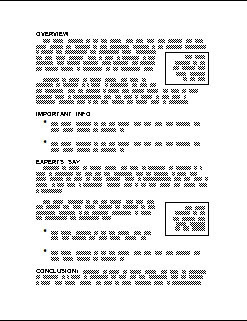 For slides, use a minimum of 32 point font size. That means fewer words on the screen, but much better readability. When you are displaying your screen, be sure to zoom in on any text that you actually want students to be able to read. You can do this quickly by typing Ctrl and + on your keyboard. Ctrl and - will zoom out. You can do the same thing on a mac with the command key. White space is your friend! When there is a lot on the screen, our brains get overloaded. Be sure to leave empty space whenever possible around an item to highlight it, and chunk content with space between each item. If you add any visual elements that contain information in them, you should add alt text so that people with screen readers know what information is being conveyed. When you add an image in Blackboard, be sure to put a description in the Title box. Did you know that you can watch your Kaltura videos and record them on the go? Kaltura has a mobile app for iOS and Android devices called Kaltura MediaSpace Go. You can watch videos in My Media on your mobile device, but best of all, you can record videos from anywhere, not just your laptop or classroom! Do you want your students to see how tools are sterilized in the clinic? See what an after hours at the Chamber of Commerce looks like? Know what it looks like to visit their representatives at the Statehouse? You can record video from anywhere on your mobile device and uploaded automatically to My Media. Then you can easily add it anywhere inside your Blackboard course. This means your students can do this, too! You can assign them to read Leaves of Grass out in nature and reflect on the experience. They can interview a professional in the field. Ask them to record a role-playing counseling session. KMS Go lets your students record authentic learning in context. Download the free app in the iTunes Store and Google Play. Did you know that you have a huge library of instructional videos at your fingertips? The University of Maine System subscribes to Hoonuit (formerly Atomic Learning) for required human resources training, but this also gives everyone in the system access to the full Hoonuit library, with topics ranging from software tutorials, to grammar 101, to time management, to socratic seminars. Lessons and courses can easily be dropped into your Blackboard course. Visit the Introducing UMS Academy course to learn more! You will need to be logged into Blackboard to view this content. Summer is here! We will reduce the frequency of QuickTips to every other week until classes resume in the fall. Enjoy the beach! It's finals week and your students are probably drinking lots of coffee and whittling down their nails with nervous biting. Do you think this stress impacts their performance on their exams? What do you think would happen if you asked your students to take five minutes before the exam to write about a past failure? Would this just make them more stressed and make them perform worse? You might be thinking, I would never be so cruel! Surprisingly, there is evidence that writing about negative events actually leads to an improvement in performance, particularly in high-stress tasks that require sustained attention. One theory suggests that this is because the writing relieves the stress that is normally associated with trying to inhibit negative thoughts, or that the new stressor seems comparatively less stressful. One study even found reduced levels of cortisol, the stress hormone, present in subjects during a stressful situation if they had just completed writing about a past failure. Interestingly, this study also noted that those with lower levels of stress reacted more slowly and were more accurate. So, how do you help your students during exam week? First, don't underestimate the impact of stress on their exam performance. Second, let your students know that you understand this and do what you can to alleviate the stress. You can send a warm and welcoming message to your class about how much you enjoyed the semester with them and that you wish them well on their exams, or you could put a funny cartoon at the top of the exam page. Finally, remind students to slow down and take their time. A good test taking strategy is to answer all of the questions they are most confident with first, then go back and use the remaining time for the harder parts of the exam. How does the Grade Center calculate grades for your students? How does Blackboard know whether to count a missing assignment as exempt or a zero? You determine this yourself by choosing the setting for Running Total. By default, Running Total is turned ON in each column in the Grade Center, which means that empty cells are not counted in any calculations. If there is no grade, it doesn't count against the student. However, if you want this to count against the student because they didn't submit an assignment, you must enter a zero in that cell. It is important to do this before the end of the semester so students know how these missing assignments impact their grade. If they are left blank, their grade is artificially inflated. You might be asking yourself, well, why don't I just turn off Running Total? If you turn off Running Total, then every blank cell in the Grade Center counts as a zero. If you set up all of your columns in the Grade Center at the beginning of the semester, that's a lot of zeros! Their first assignment might bring their grade up from 0% to 2%, which might be pretty discouraging to students. We recommend leaving Running Total on, and then adding zeros to empty columns as you enter grades. This gives students a realistic picture of their course grade at any point throughout the semester. Read about what happened to Karen Miller when she started using the Grade Center in her post, Blackboard's Gift. How organized is your Grade Center? Do you have unused columns cluttering it up? Can you easily find what you're looking for? Did you know that you can customize the Grade Center? 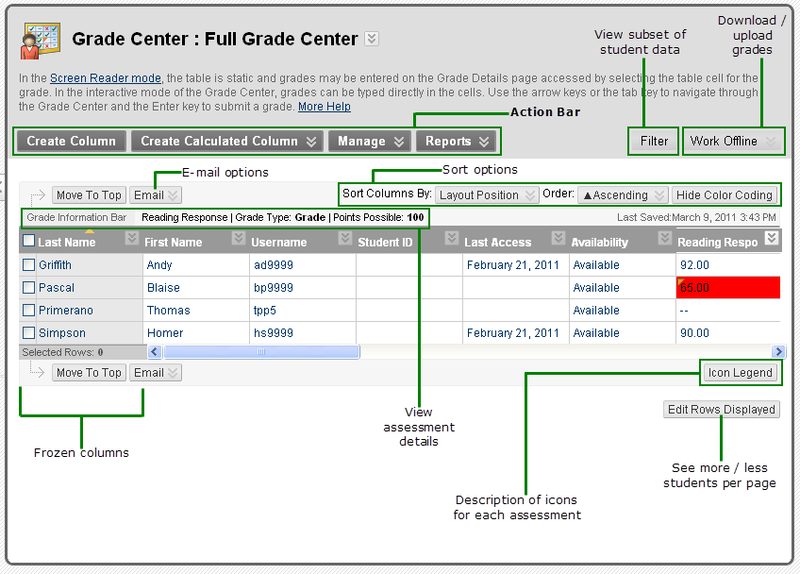 The Grade Center comes with student data columns, and two total columns. As you add graded items to your course, they get added to the Grade Center and become the last column on the right. If you copy Grade Center columns and settings when you do a course copy, you might end up with duplicates of all of your columns! Check out the steps below to customize your Grade Center so it's nice and tidy before the end of the semester. Click the Manage drop down menu on the Action Bar. On the next screen, click and drag the four-headed arrow next to an item to re-order the columns. To hide columns, select the check box next to the item(s), click the Show/Hide button, and select Hide Selected Columns. To change categories, select the check box next to the item(s), click the Change Category to button and select the new category from the list. When you're done making changes, click Submit. To delete unused columns, click the drop down next to the title of the column and select Delete Column. Tip: If you click the drop-down menu next to an item in the Full Grade Center and there is no delete button, that means that the assigned work is deployed somewhere in your class. You will need to delete the item in your content folders or discussion board to be able to delete the column. Are you ready to Calculate your Grades? Follow these steps on the Faculty Portal. Just in time for finals review! We've all struggled with coming up with good distractor answers on multiple choice tests, or as Dr. Elizabeth Bjork at UCLA calls them: competitive incorrect alternatives. The wrong answers on a test are just as important as the right answers are in terms of learning strategies. Watch this short video from Dr. Bjork as she explains how multiple choice testing can enhance learning, and then check out some of the other videos at LastingLearning.com. Read about the strategies Sharon McMahon Sawyer explored to improve learning in her post, Making it Stick--What I have learned from UC Lunch & Learn Book Club. Online platforms like Facebook, Instagram, and Youtube have revolutionized the way we handle self-help. Now, when we have a leaky faucet, many of us hit the web, Googling strategies to help us repair the leak without hiring a pricey plumber. The trouble is that we can seemingly search-and-scroll endlessly before we find the right tutorial for our particular leaky-faucet needs--and that can lead to a time-sink. One way to overcome this isolated experience is to seek out and create an online community, like Reddit, where people interact and connect with one another directly to share vital information about home faucet repair. Facilitate a robust student and instructor introduction to “encourage students to look for common interests” (29). Encourage students to share resources with one another and to have a space in your course site where they can offer each other support (32). Include areas (such as discussion boards or Blackboard Journals) designed into your course where students can reflect on their learning experiences (102). Consider offering a space where learners can communicate expressly about the challenges and successes of eLearning specifically (syc 111). Encourage interaction by role-modeling and asking expansive questions (119) and encouraging students with similar discussion posts connect through questioning one another. Read about how Sharon McMahon Sawyer engages her Justice Studies students at a distance in her post, Civic Engagement for Online Students. Do you ever put things in the wrong place? When people put things in the wrong folder in Blackboard, they usually delete it and recreate it in the right folder. But, did you know that there is a Move tool? Be sure Edit Mode is On. Find the item in Blackboard you want to move. Click the drop down menu next to the item name and select Move. On the next screen, choose the Destination Course. Which course do you want to move this item to? Choose the Destination Folder. Where in the course do you want it to go? That's it! The item was moved to the new location. Use this technique to move ONE item. If you want to copy a whole course, follow these steps. To re-order items within a folder, see the QuickTipfor September 5, 2017. Are you following your colleagues on the UMS Faculty Focus blog? Check back often for new posts, and log in with your @maine.edu account to comment. Let us know if you would like to blog, too! Include a post-by date and a reply-by date so your students know when to expect responses from their peers. Ask open-ended questions or case-study style questions that encourage your students to think up their own unique answers rather than trying to find and reproduce a section of the course site or textbook. Encourage students to write their own prompts or to take the lead facilitating discussion on a rotating basis. Invite students to Subscribe to forums so that they receive an email when someone posts in order to up the likelihood that they’ll respond. Read Tim Surrette's blog post Asynchronous online discussion questions/prompts aimed at increasing student engagement on the UMS Faculty Focus blogs where he shares some of his discussion prompts and policies. Do you have office hours for your students to drop in with questions or to get help? What about for your distance students who can't come to your office? With Google Hangouts, you can schedule a regular meeting place online and post the link to Blackboard. During office hours, students can click on the link to "drop in" to your office and meet with you with audio and/or video. Google Hangouts is the free webconferencing tool from Google that is already a feature of your @maine.edu account. Just go to https://hangouts.google.com, log in with your @maine.edu account, click Video Call, enter OfficeHours (one word) as the title, and start a new meeting. Click Join. If this is your first time using Hangouts, you will need to download and install a plug-in. You will also need to give hangouts permission to access your microphone and webcam. Look for the pop up box with the Allow button. Add a link to this Hangout space to your Blackboard course to make it easy for students to access your office hours. Log into your Blackboard course. Click the plus sign at the top of the course menu and select Web Link. Type "Office Hours" as the Name, paste in the URL, click the check box next to Available to Users, and click Submit. You will now have an Office Hours button at the bottom of your course menu. When you or your student click on this link on Thursdays at 2:00pm (or whenever your office hours are), you will both land in the same google hangout space and will be able to see and hear each other! Read Tim Surrette's blog post Monitoring students’ academic progress during an asynchronous online course on the UMS Faculty Focus blogs where he discusses synchronous online communication with his students. How long does it take you to find what you're looking for? We're not talking house keys here. Think electronic. How are your online search skills? There's more to effective searching than just selecting the right keywords. We've collected three short hacks here to help you improve your ability to find what you're looking for. Limit your search results to just higher ed, or just government sites, or just sites from Germany with a domain search. Type in your keywords, then add site:.edu, or site:.gov, or site:.de. This will really help to limit your search results to help you find what you are looking for. Caution: Don't use this method to verify credibility of a source because personal pages can still be included on a .edu domain. What if you are at a great website that doesn't have a search box? Create your own site search by putting the url of the site in your google search. Let's say you saw something interesting on the Discovery channel and wanted to look for related resources on their site. You could go to their website and start poking around, or you could go to google and type in: targeted keywords site:http://www.discoveryeducation.com. This will bring you search results for your keywords, only on their site. Looking for images you can freely use in your classes? Go to images.google.com and enter your keywords. In the search results page, click the Tools button and use the Labeled for reuse drop down menu to find royalty free images. Learn more about Creative Commons licensing by watching this short video: https://vimeo.com/13590841. Faculty feedback gives learners the opportunity to correct their knowledge and performance, and greatly improves the learning process. But, doesn't it take a long time to assess which students are "getting it", and give them corrective feedback? Actually, there are many tools available online that make it quick and easy to assess how well your students are understanding your course content and provide instant feedback. Many of these tools fall into the category of polling tools/devices. Many of these types of tools allow you to present questions to the class and receive instant data analysis or post the combined results in graphic format for the class. If you want to learn more about some of the great tools that are out there, read this post by Loni Nadeau on the UMS Faculty Focus Blog where she compares and contrasts different products on the market. If you don't have your students' attention, they aren't learning. Adult learners have a lot competing for their attention, so help them out by connecting with them and relating what you are presenting to something they already know. The simple meme above is just one example. Did it get your attention? Memes are popular throughout our culture and are an easy way to visually communicate a message. What else can you do to get your students' attention? Check out this informative article that explains all the facets of attention and how it relates to the learning process. Kitty does a great job of explaining how attention works and how it affects what is happening in your brain. Make a Meme.org The meme above was created using this tool. Do you have a QuickTip to share? Send it to uc-fdc@maine.edu so we can share it with other faculty. Wouldn't it be nice if there was a helpful professional standing by to answer your questions whenever they arise? Well, we can't be there 24/7, but we are on call Monday through Friday 10:00am - 4:00pm. You can call or drop in with any question, or just to say, Hi! You can pop into our Zoom room any time during our open hours and one of us will be standing by to answer your call. Click the Faculty button at the top of the screen. Click the Connect via Video button. If you've never used Zoom, you will need to download a small plug-in. Do students email you assignments or hand them in to you on paper? Do they ever get lost? Wouldn't it be nice to have a way to track who submitted assignments and when, as well as grade, comment, and return them? The Assignments tool in Blackboard will do all of this for you--and more! Let's take a look. Go to a Content area in your course in Blackboard. Click the Assessments drop down menu and choose Assignment. Enter a title for this assignment and give your students instructions. If you have the instructions in a document, you can copy and paste them here or attach the document. Set a Due Date and time. Enter the Points Possible for this assignment. That's all there is to it! Tell your students to submit their work in Blackboard and never worry about keeping track of assignments in emails or attachments again! If students submit their work as an attachment (pdf, doc, or ppt), you can make comments right on their work. You can check student work for possible plagiarism using the SafeAssign tool. Allow multiple submissions for students to submit drafts and get feedback from you. The Full Grade Center in Blackboard has a helpful column called "Last Access". This will show the date of the last time the student entered your course. Of course, it won't tell you what they did; that's where reports can come in handy. A quick way to intervene with at-risk students is to reach out to those who haven't logged into the class yet, or who haven't logged in within the last week. Take a look at this column in your Full Grade Center. Click the title of the column to sort by date and see who hasn't logged in during the past week. If you find a student who has not logged in, you can click the drop down next to the date, and select "Email User". Send them a quick note to let them know you are concerned and ask if they have any questions. Doing this quick intervention for the first three weeks of class can really have an impact on student success and retention. Would you like a quick and easy solution to help improve your own memory and student learning outcomes in your courses? There is a lot of buzz around "retrieval practice" and how it helps in knowledge retention. But, what is it and how can you do it without having to make significant changes to your courses? This short video (3:29) will give you a quick overview with some practical examples of retrieval practice. What are some quick and easy ways you can incorporate retrieval practice into your courses? At the beginning of your live class, give students 3-5 minutes to write about something they learned last class or in their reading assignment for the week. Instead of saying, "last week we talked about...." ask, "how is this related to what we learned last week?" Include more fill-in-the-blank and short answer questions on quizzes and tests. Add multiple choice questions to your lecture videos to check for understanding. Ask students to create their own flashcards with great apps like Quizlet, Flashcards+, or Cram. For more great ideas and to learn more, be sure to download the free Retrieval Practice Guide. Who you gonna call? No, not Ghostbusters. Call the UC Faculty Development Center at 262-7979 with your Blackboard questions! We've prepared a few resources for you to get started with Blackboard, but we are only a phone call away if you need more help. It's almost that time of the semester again....time to pull up your Excel spreadsheets, your calculator and red pen, and a box of Kleenex to sop up the tears of frustration from calculating grades manually. Wouldn't it be great if there was a program that calculated all of those assignments and percentages for you? There is! You can use the Weighted Total Column in Blackboard to do all of the math involved with figuring out the final grade for you. You will need to make sure all of the columns in your grade center are in the appropriate category, such as Essays, Reflections, Discussions, Quizzes, etc. If you need help creating categories and categorizing assignments, let us know and we would be happy to help! Go to your course in Blackboard and navigate to the Full Grade Center. Click the drop down menu next to the Weighted Total Column and select Edit Column Information. Here you can change the title to something more informative, like Final Grade. Scroll down to the Select Columns section. Select a column or category on the left that you want factored into the final grade. Click the arrow to move it to the Selected Columns section on the right. Enter the percent of the final grade for this item or category. Continue to add columns and categories until the total is 100%. The Blackboard grade center can do almost anything you want (except actually grade the student work--darn). It can be a little overwhelming when you get started, so please feel free to contact the UC Faculty Development Center with your questions or for a short lesson. Call us at (207) 262-7979, email uc-fdc@maine.edu, or drop in anytime Monday - Friday 10am-4pm in our zoom room athttps://zoom.us/j/2072627979. It's not likely that you will be sitting next to your computer over the holiday break, eagerly awaiting every incoming email. It's supposed to be a break, right? Let people know that you are on break and when they can expect to hear back from you by setting an automatic vacation responder in your Gmail. Every time you receive an email, a reply will automatically be sent with your custom message. It's a good idea to tell people that you are away from the office and let them know when they can expect to hear back from you. Click the Settings drop down menu in the top right of the screen and selectSettings. Set the date range, Subject line, and Message. Set your vacation responder ahead of time, and forget about it. Have a great break and Happy Holidays from all of us at the UC Faculty Development Center! Weekly QuickTips will resume January 8, 2018. Do you schedule appointments with students? Does this come with a string of email messages back and forth as you try to find a common time to meet? Wouldn't it be great if your students could just click a button and reserve a slot in your available time? Google Calendar offers this service! You can reserve a block of time in your schedule where students can just click a button to reserve an appointment slot. You will get an email notification of the appointment and it will be added to your calendar, and no one else can sign up for that slot. Go to your google calendar and click in a time slot (don't click the New Event button). In the event window that pops up, choose the Appointment Slots button. Choose the window of time you are available for appointments and how long you want each appointment to last, and then click More Options. In the Event Details section, copy the link to the Calendar Appointment Page. Send this link to your students so they can sign up for appointments. Note: Students will not see your calendar, they will only see the times you have made available. Use this feature to schedule final presentations in class or private appointments during office hours. Did the Great Power Outage of 2017 impact your class? Do you wish you could have just texted your students to give them an update so they wouldn't stress about missed classes or submitting assignments on time? The good news is that you can text your students without a phone for free! There are many group text apps available for free (none of which are officially supported by US:IT), but the most popular by far is called Remind. Visit www.remind.com to learn more about this application or visit your app store on your mobile device to download the app. The program is free to sign up for as an individual instructor. Do you want to try it as a student? Join our UC FDC Remind class to receive reminders about workshops and events. Visit https://www.remind.com/join/ucfdc and sign up to receive alerts! Do your students use mobile devices? Do they keep asking you for their grades? Wouldn't it be nice if your students were automatically alerted every time you graded an assignment? They can receive these alerts in the Blackboard Mobile App! Send these instructions to your students. The Blackboard Mobile app is available on most mobile devices and can be downloaded in the App Store, Google Play, or Microsoft Store. Search for University of Maine System. Use your regular Blackboard username and password in the Web Login. Enable Notifications for this app. These defaults can be customized in Blackboard in the web browser in the Settings section under the global menu. Do you read online the same way you read print material? Do you think your students do? Do you find yourself skimming pages with text and then going back to read something important? Did you skim this email before you started reading this paragraph? Which one of these is easier to "digest" at a glance? The text on the right has been formatted to highlight parts of the content, and chunked for easier reading. This is from Jason Ohler's book, Digital Storytelling in the Classroom. Below is an excerpt. bullets – using the bullet command in Word, blog editors, etc. boldface – boldfacing titles, etc. VDT is very much the text approach used by many web writers, and should be seen as a direct response to information overload. When readers encounter a wall of text on the web, it seems unscalable. VDT gives them visual toe holds and hand grips. Does your mind every wander when you are watching an instructional video? Do you want to watch a webinar and just can't find the time? Why not bend time to your advantage? You can with playback speed! Many video players let you choose playback speed in the video controls. Both of the video tools supported by the University of Maine System, YouTube and Kaltura, feature this option. You can speed up a video to save time, or make a slow talker more engaging. You can also slow down the speed of a video if you are having difficulty understanding the speaker or if they are moving too fast. This does not distort the speech and is great for English Language Learners! Move your mouse over the video to see the video controls. Click the Settings wheel icon. ​Move your mouse over the video to see the video controls. ​Now, what are you going to do with all that free time?? Wouldn't it be great if there was a quick way to notify students about a missing assignment? There is! In the Full Grade Center, there is an option called Send Reminder in the column menu for each Assignment or Test. Clicking this will send an email to students who do not have a grade or submission reminding them of their missing assignment. Go to the Full Grade Center and locate the column with the missing work. Click the drop down menu button next to the title of the column. Select Send Reminder in the pop up menu. A message will pop up asking if you want to send a reminder. Click OK.
You will see a success notification at the top of the screen. How much time do you spend minimizing windows, dragging them out of the way, clicking through the Task Bar or Dock, looking for that other window you want? Wouldn't it be great if there was a quick way to do this? There is! Here's how to use your keyboard to switch windows. To switch from one window to another, hold down the Alt key on your keyboard and then tap the Tab key. This will bring up a series of thumbnails of the windows that are currently open. You can keep hitting Tab to move through these windows, then let go of the Alt key when you get to the one you want. You can also use your keyboard to move between open tabs in a browser. Hold down the ctrl key and press Tab. This will take you to the next open Tab. 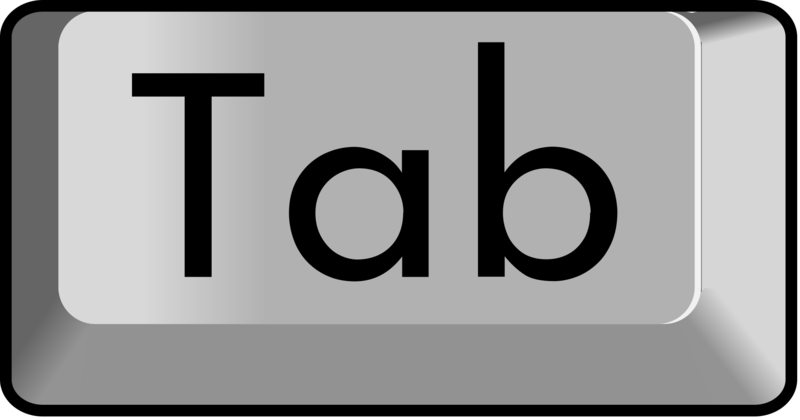 CTRL + SHIFT + TAB will take you to the previous tab. To switch from one application to another, hold down the command key on your keyboard and then tap the Tab key. This will bring up a series of thumbnails of the applications that are currently open. You can keep hitting Tab to move through these applications, then let go of the command key when you get to the one you want. 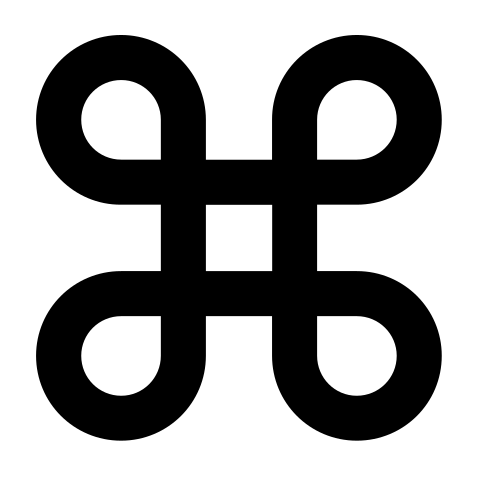 You will need to add the ~ tilde key to switch between windows in one application. Sometimes things go wrong with technology. I'm sure you're not completely surprised! What should you do if you have trouble recording or uploading a video in Kaltura? Follow these steps to get the help you need. Open Kaltura CaptureSpace Desktop Recorder. Click on the Help tab. Click the Collect Logs button. In the window that pops up, copy all of the log data. Click the Copy to clipboard button. Go to GMail and create a new message to techsupport@maine.edu. Indentify your issue in the subject line. Add details about your issue in the message body. Paste in the contents of the Log File from the clipboard into the body of the message and Send. How many hours have you spent changing dates when you copy a course in Blackboard? Want to get that time back? Try Date Management! When you copy a course over in Blackboard to a new semester, all of your old dates for assignments and tests are copied, too. Wouldn't it be great if you could just press a button and all those dates updated on their own? There is a button for that, and it's called Date Management. Go to the Control Panel in your course, click Customization, and Tool Availability. Scroll through the list until you find Date Management. Make sure this is checked and click Submit. Go to Course Tools in your course and click Date Management. On the first screen, you will choose how you want to shift the dates: (a) by assigning a new start date for the course, or (b) adjusting all dates by a specific number of days. On the next screen, you will see all of the items in your course that have due dates or availability dates. 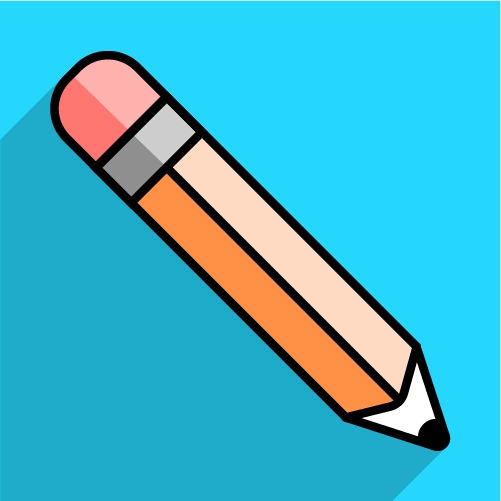 You can edit individual ones by clicking the pencil icon. If you have due dates in the text of your items, you will still need to change this manually. Keeping up with a class discussion can generate a lot of extraneous cognitive load. Which threads have I already read? Who is the student replying to? Do I click the Back button or OK? It can be hard to keep all of the threads in your mind when you have to click in and out of so many screens. Wouldn't it be nice to just focus on the conversation? Have you heard about Collect Threads? Select all of the Threads in the Discussion by clicking the check box at the top of the column. All of the threads and posts will open on one screen. Sort by Thread Order Descending to read like a conversation. Every edit made to a google doc by each user is saved in Revision History (access it under the File menu). Each collaborator is assigned a color in the Version history pane, and edits are highlighted in the document with corresponding time stamps. You can revert back to past versions of a document you've been editing. You can see how much each student contributed to a shared document. You can see how a student has incorporated your suggestions into later drafts. You can name older versions to create a copy of those edits. Which of the following can your students open in their email from a course announcement? a: Kaltura videos can only be opened inside Blackboard. At this time, they cannot be shared outside of Blackboard, so if your students try to open a video from an email, they will get an error message. You can still embed your Kaltura videos in your Announcements, but be sure to tell your students that they must go to Blackboard to click on the video. b: Attachments cannot be viewed outside of Blackboard. If you attach a file to an announcement, your students will receive a log in box when they click on it, but will not be able to execute this. If you wish to send your students an attachment, you should upload the file to Blackboard, then send an announcement with instructions on where to find the file. To make it easy to find the file once the student is logged in, use a course link. c: Links to the world wide web can easily be opened from an announcement. Feel free to include these any time. d: Course links can be very helpful for pointing students directly to course content, but since links to Blackboard content (like attachments and Kaltura videos, as discussed above) cannot be viewed outside of Blackboard, the course link does not appear in the email version of the announcement. Have you tried clicking and dragging items on the screen to re-order them in Blackboard, only to find that you're stuck and you can't drag it any further up or down the screen? Rather than clicking and dragging to move items around the screen, try this quick tip. At the top of each screen with content (including the menu) look for the up and down arrows. Click this button. Click the up or down arrows below the list to move it to the correct location. Your items will be re-ordered without clicking and dragging!